Without fail, every time my sister and I are together, we dress my baby in different hats and take photos. The poor kid. We just can’t help it. He’s only a year old and I swear he makes different faces depending on the style of hat we put on him. I’m sure you’ll agree there’s something pretty spectacular about dressing babies in cute outfits. 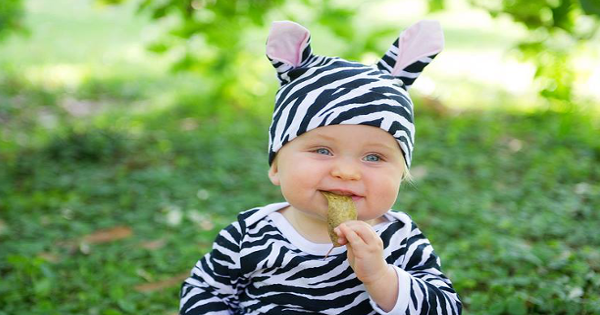 The adorable factor goes through the roof with these animal outfits. Whether you have a little bumble-bee or koala, Noo Designs Animal four-piece baby sets are absolutely divine. Just picture squishy baby thighs in zebra print pants and chubby cheeks under a Ladybug hat. Each set comes with a long sleeve shirt, long pants, hat with antennae or ears, booties and matching carry bag. Noo Designs sets are made with pure cotton knit so they are soft and comfy enough to wear to bed or even as a costume to a birthday party or for Halloween. Two-piece sets and sun hats are available for warmer weather and bibs in matching prints too. It’s animal print heaven! 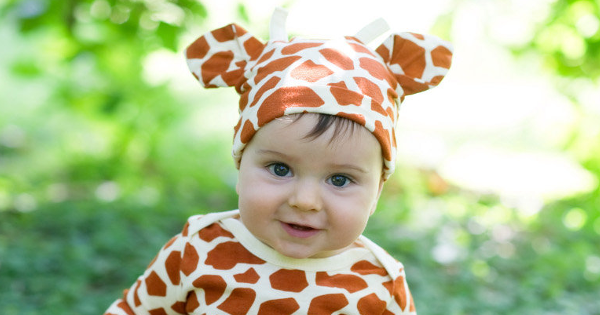 Noo Designs four-piece baby sets come in Giraffe, Cow, Leopard, Ladybug, Koala and Zebra prints and are available for $41.95. They come in sizes to fit from newborn all the way to a two-year-old.